Tom Tanner, the crime-scene-cleaning virtuoso of L.A. Rotten—hailed by Dianne Emley as “eloquent, profound, hilarious, and redemptive”—is going Hollywood. Because a psychopathic movie producer is planning a bloody blockbuster . . . with Tom in a starring role. Tom Tanner has a dark past but he’s no murderer. Unfortunately, Mikey Echo—the spoiled son of the most powerful man in Hollywood—seems to think otherwise. After a young actor suffers an untimely demise out a thirty-fourth-floor window, handsome ex-con Tom is summoned to scrub the splatter below. At the scene, he learns that producer Mikey has an indecent proposal to make—and for Tom, that means signing a deal with the devil. The rotten part is, things had finally been going Tom’s way. 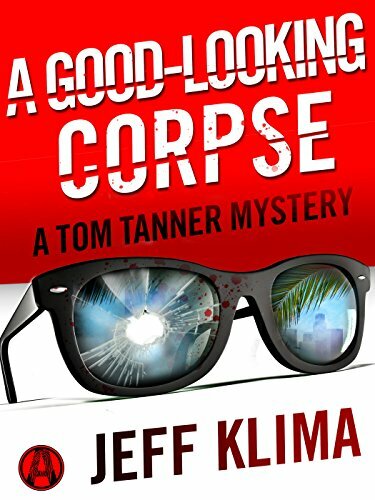 He’s got good steady work, a feisty woman to come home to, even a little notoriety for solving a string of grisly motel murders. Now Tom just wants this mad prince of Tinseltown to leave him alone. But the fatalist within braces for the inevitable: To get Mikey Echo off his back, someone must die.